Z.Z. Boone’s fiction has appeared in the New Ohio Review, The Adroit Journal, Berkeley Fiction Review, 2 Bridges, The Roanoke Review, and others. His story “The Buddy System” was one of the Notables in The Best American Nonrequired Reading 2014. His films (written under the name Bill Bozzone) include Full Moon in Blue Water, which starred Gene Hackman and Teri Garr, and The Last Elephant, which featured John Lithgow and James Earl Jones and was nominated for an ACE Cable Award as Best Film 1990. 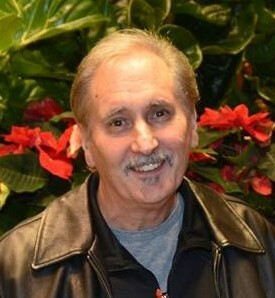 He is the author (as Bill Bozzone) of over twenty plays that have been produced throughout the United States, Canada, Europe, and Australia. They include: Rose Cottages; House Arrest; Korea; Buck Fever (all published by Samuel French); War (Faber and Faber); Sonny DeRee’s Life Flashes Before His Eyes; Breast Men (both published by Smith & Kraus); and Saxophone Music (Broadway Play Publishing). His plays have been produced in New York at the Ensemble Studio Theatre, Bank Street Theatre, Working Theatre, and Long Island’s Bay Street Theatre, and in L.A. at the Will Geer Theatricum Botanicum, Showtime’s Act One, and others. Awards include an NEA Fellowship; grants from both the New York Foundation for the Arts and the Connecticut Arts Council; fellowships at the Eugene O’Neill National Playwright’s Conference and the Atlantic Center for the Arts; and the Ensemble Studio Theatre Silver Medal for Theatrical Excellence. Z.Z. lives with novelist Tricia Bauer and their daughter Lia. He currently teaches writing at Western Connecticut State University. Visit Z.Z. Boone’s website here.